The 4th Edition, which celebrates the book’s 40th anniversary, is based on an extensive survey of faculty, students, and independent readers in 150 institutions from 30 countries. Their feedback led to expanded or new coverage of topics such as deep learning and deep neural networks, including convolutional neural nets, the scale-invariant feature transform (SIFT), maximally-stable extremal regions (MSERs), graph cuts, k-means clustering and superpixels, active contours (snakes and level sets), and exact histogram matching. Major improvements were made in reorganizing the material on image transforms into a more cohesive presentation, and in the discussion of spatial kernels and spatial filtering. Major revisions and additions were made to examples and homework exercises throughout the book. For the first time, we added MATLAB projects at the end of every chapter, and compiled support packages for students and faculty containing, solutions, image databases, and sample code. Timely, highly readable, and heavily illustrated with numerous examples of practical significance. NEW! This edition contains 425 new images, 135 new drawings, and 220 new exercises. Updated with feedback from an extensive survey that involved faculty, students, and independent readers of the book in 150 institutions from 30 countries. UPDATED! A complete update of the image pattern recognition chapter to incorporate new material on deep neural networks, backpropagation, deep learning, and, especially, deep convolutional neural networks. EXPANDED! Coverage of feature extraction, including the Scale Invariant Feature Transform (SIFT, maximally stable extremal regions (MSERs), and corner detection. NEW! Coverage of graph cuts and their application to segmentation. NEW! A discussion of superpixels and their use in region segmentation. NEW! An introduction to segmentation using active contours (snakes and level sets). NEW! Material related to exact histogram matching. EXPANDED! Coverage of the fundamentals of spatial filtering, image transforms, and finite differences with a focus on edge detection. A chapter dealing with active contours for image segmentation, including snakes and level sets. A chapter that brings together wavelets, several new transforms, and many of the image transforms that were scattered throughout the book. NEW! 120 MATLAB projects, located at the end of every chapter and are structured in a unique way that gives instructors significant flexibility in how projects are assigned. The MATLAB functions required to solve all the projects in the book are provided in executable, p-code format which makes it possible for projects to be assigned solely for the purpose of experimenting with image processing concepts, without having to write a single line of code. 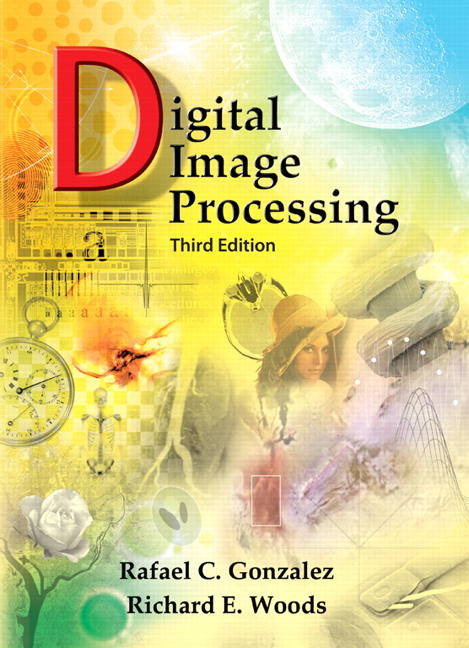 Although Digital Image Processing is a completely self-contained book, the companion website offers additional support in a number of important areas, including solution manuals, errata sheets, tutorials, publications in the field, a list of books, numerous databases, links to related websites, and many other features that complement the book. NEW! Student Support Package contains all the original images in the book, answers to selected exercises, detailed answers (including MATLAB code) to selected MATLAB projects, and instructions for using a set of utility functions that complement the projects. NEW! Faculty Support Package contains solutions to all exercises and projects, teaching suggestions, and all the art in the book in the form of modifiable Powerpoint slides. One support package is made available with every new book, free of charge. A complete update of the image pattern recognition chapter to incorporate new material, including deep neural networks, backpropagation, deep learning, and, especially, deep convolutional neural networks. Expanded coverage of feature extraction, including maximally stable extremal regions, and the Scale Invariant Feature Transform (SIFT). A discussion of superpixels and their use in region segmentation. Coverage of graph cuts and their application to segmentation. An introduction to segmentation using active contours (snakes and level sets). New material related to histogram matching. Expanded coverage of the fundamentals of spatial filtering. A more comprehensive and cohesive coverage of image transforms. A more complete presentation of finite differences, with a focus on edge detection. More homework problems at the end of the chapters. Chapter 1: Some figures were updated and parts of the text were rewritten to correspond to changes in later chapters. Chapter 2: A new section dealing with random numbers and probability, with an emphasis on their application to image processing. Many sections and examples were rewritten for clarity. 12 new examples, 31 new images, 22 new drawings, 32 new exercises, and 10 new MATLAB projects. Chapter 3: A new section on exact histogram matching, a discussion on separable filter kernels, expanded coverage on the properties of lowpass Gaussian kernels, and highpass, bandreject, and bandpass filters. 6 new examples, 67 new images, 18 new line drawings, 31 new exercises, and 10 new MATLAB projects. Chapter 4: Several sections were revised to improve the clarity of presentation. 35 new images, 4 new line drawings, 25 new exercises, and 10 new MATLAB projects. Chapter 5: Clarifications and a few corrections in notation. 6 new images, 17 new exercises, and 10 new MATLAB projects. Chapter 6: A new chapter that brings together wavelets, several new transforms, and many of the image transforms that were scattered throughout the book. The emphasis of this chapter is on a cohesive presentation of these transforms from a unified point of view. 24 new images, 20 new drawings, 25 new exercises and 15 new MATLAB projects. Chapter 7: Material dealing with color image processing was moved to this chapter. Several sections were clarified, and the explanation of the CMY and CMYK color models was expanded. 2 new images and 10 new MATLAB projects. Chapter 8: Numerous clarifications and minor improvements to the presentation. 10 new MATLAB projects to this chapter. Chapter 9: A complete rewrite of several sections, including redrafting of several line drawings. 18 new exercises and 10 new MATLAB projects. Chapter 10: Several sections were rewritten for clarity. Updated the chapter by adding coverage of finite differences, K-means clustering, superpixels, and graph cuts. 4 new examples, 31 new images, 3 new drawings, 8 new exercises, and 10 new MATLAB projects. Chapter 11: A new chapter dealing with active contours for image segmentation, including snakes and level sets. An important feature in this chapter is that it presents a derivation of the fundamental snake equation as well as a derivation of the level set equation. Both equations are derived starting from basic principles, and the methods are illustrated with numerous examples in order to bring this material to a level that could be understood by beginners in the field. 17 new examples, 141 new images, 19 new drawings, 37 new problems, and 10 new MATLAB projects. Chapter 12: Chapter on feature extraction, which was moved from its 11th position in the previous edition. Updated with numerous topics, improvements in the clarity of presentation, added coverage of slope change codes, expanded explanation of skeletons, medial axes, and the distance transform, and new basic descriptors of compactness, circularity, and eccentricity. New material includes coverage of the Harris-Stephens corner detector, and a presentation of maximally stable extremal regions. A major addition to the chapter is a comprehensive discussion dealing with the Scale-Invariant Feature Transform (SIFT). 65 new images, 15 new drawings, 4 new examples, 15 new exercises, and 10 new MATLAB projects. Chapter 13: Image pattern recognition chapter that was Chapter 12 in the previous edition. Now includes coverage of deep convolutional neural networks, an extensive rewrite of neural networks, deep learning, and a comprehensive discussion on fully-connected, deep neural networks that includes derivation of backpropagation starting from basic principles. 23 new images, 28 new drawings, 12 new exercises, and 10 new MATLAB projects. 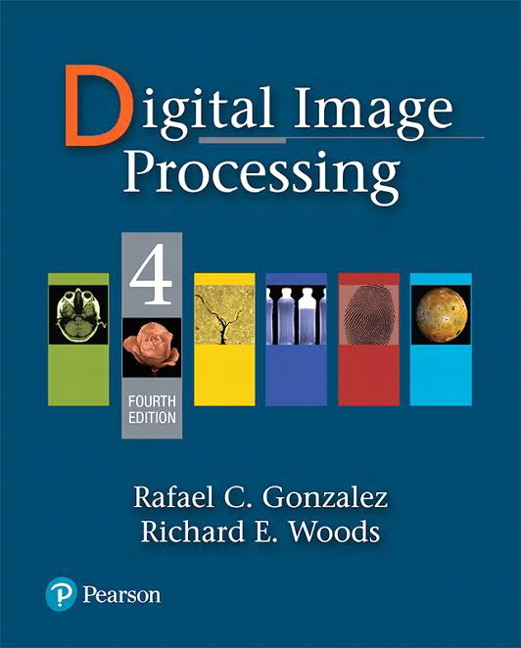 1.1 What is Digital Image Processing?